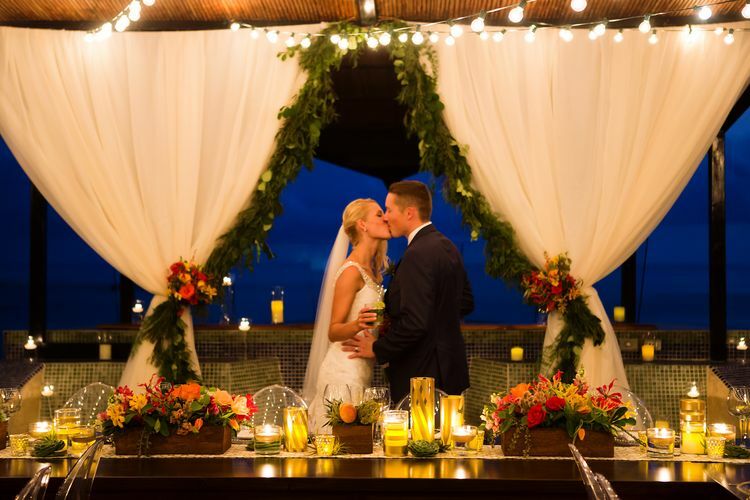 If your dream destination wedding conjures up images of pristine sand beaches, lush tropical rainforests and a private, intimate and luxurious venue, Costa Rica’s Villa Punto de Vista should be at the top of your list! 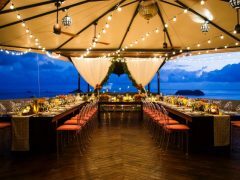 Offering world-class flora and fauna, Villa Punto de Vista is within walking distance of Manuel Antonio National Park (rated one of the top 12 best national parks in the world by Forbes.com) and its golden sand beaches. 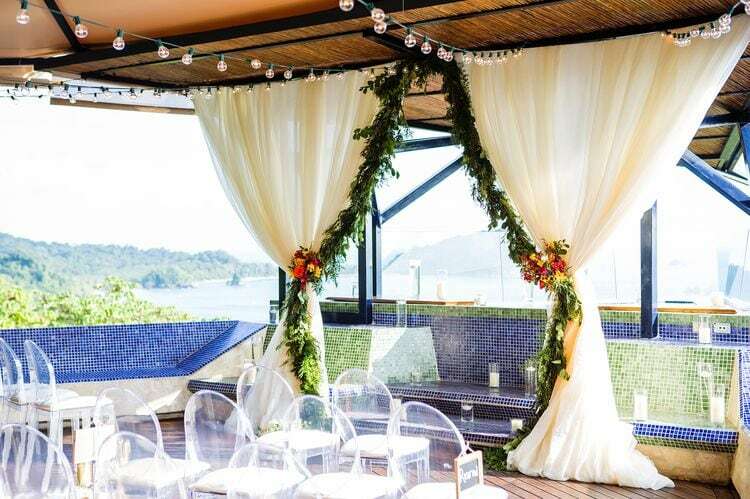 For couples who want not only a beautiful wedding but also an outstanding tropical experience, the Villa’s 270-degree panorama of Manuel Antonio Bay and rainforest offers daily views of toucans, parrots, monkeys, and sloths. 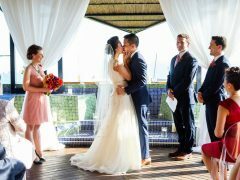 In addition to the event spaces, the Villa has three bars and sleeps up to 27 of your closet family members and friends and hosts up to 115 guests for receptions. 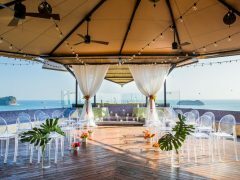 The social areas provide wireless music, and the indoor ballroom has the infrastructure for a DJ or live entertainment. 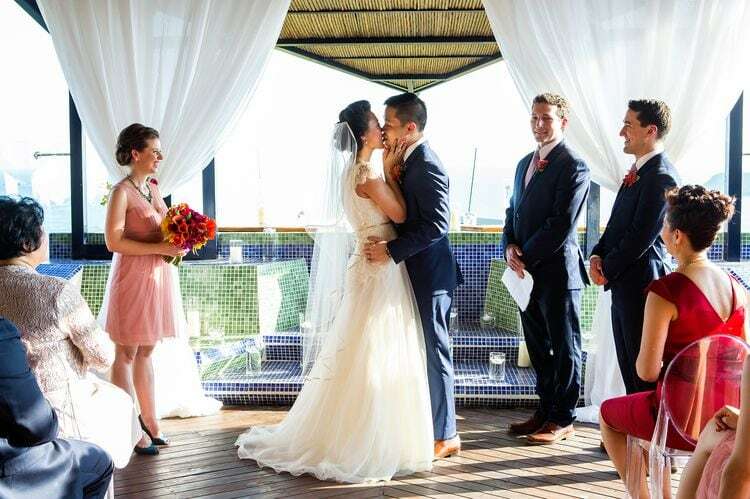 If you value privacy for your wedding, nothing beats Villa Punto de Vista. 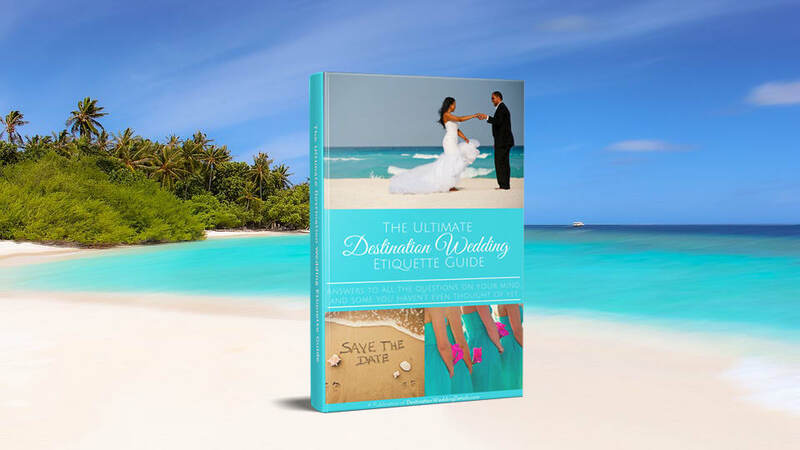 While you’re there, the Villa is all yours and it’s never rented to other parties during your stay. 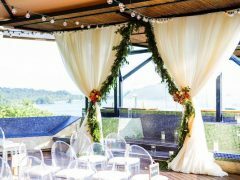 It’s also the closest villa to the beach in Manuel Antonio, and it’s truly a romantic, intimate location for your guests to enjoy. 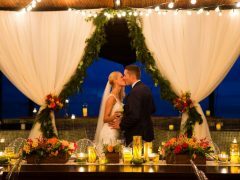 You also have access to some of CostaRica’s best destination wedding planners! Luxury is a high priority at the Villa. 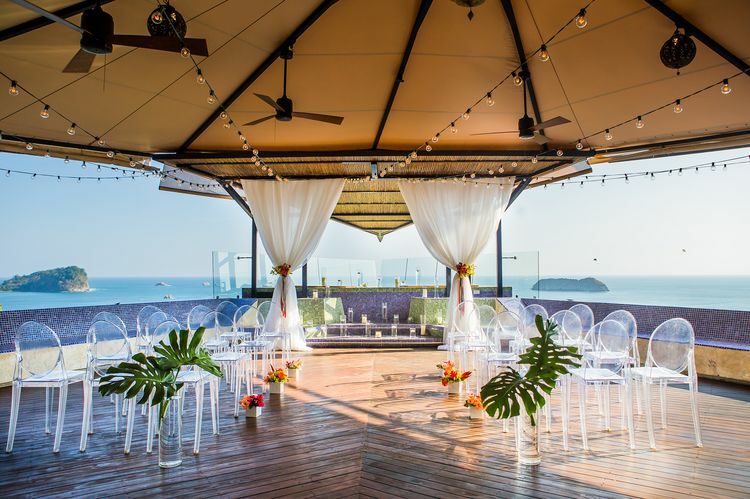 Each of the ten boutique-style guest rooms has something special to offer, featuring Costa Rican crafted organic spa products, Jennifer Adams Home Lux Linens, WiFi access and an iPad 2, a mini-fridge, a safe and a digital music library. 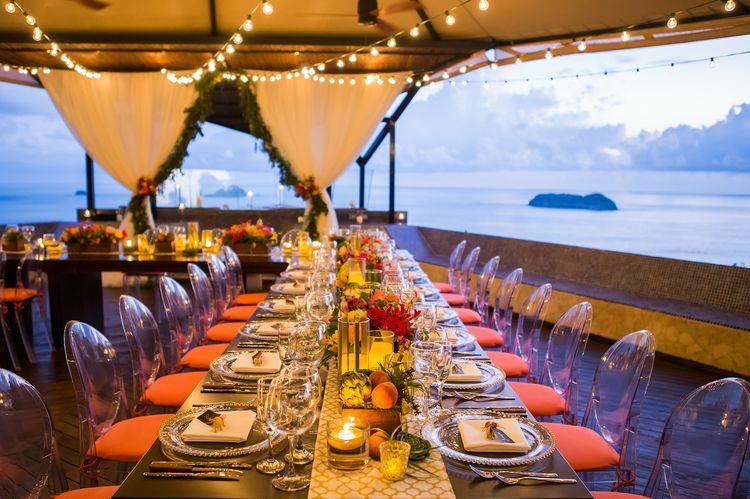 Although the Villa is a private, secluded venue, it’s only minutes away from Manuel Antonio’s hottest restaurants, nightlife, tours and activities. 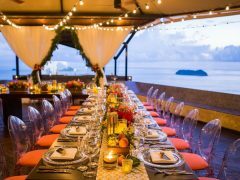 Costa Rica is well known for adventure tours ranging from sport fishing to scuba diving to river rafting to horseback riding in the rainforest! 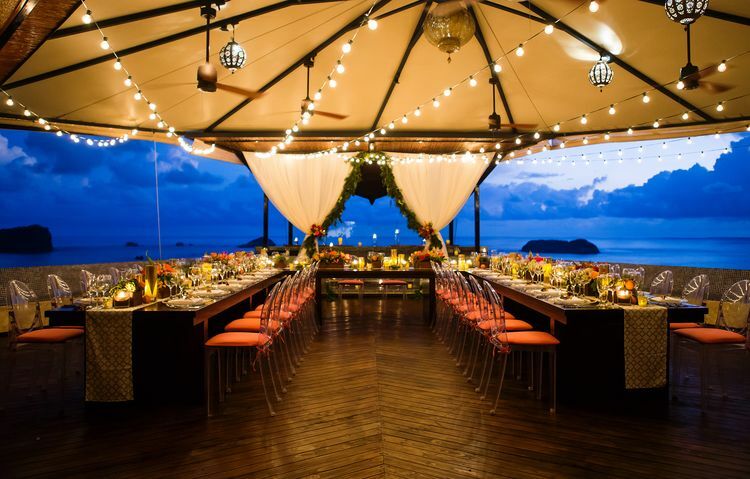 When the sun goes down, Manuel Antonio comes alive with nightlife, too.